YORK, Nebraska — Ho, ho, ho, don’t harsh my mellow — it’s Christmas. 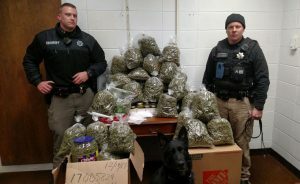 An elderly couple driving from California to Vermont were stopped with more than 60 pounds of high-grade marijuana in their car which they claim they intended to give away as Christmas presents to the their friends. The York County Sheriff’s office says Patrick Jiron, 80, and Barbara Jiron, 83, were stopped Tuesday after their car drifted over the centerline and officers were immediately hit with the pungent smell of weed. 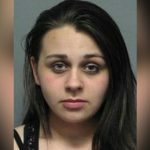 A search of the vehicle turned up boxes and boxes of weed in the back of the couple’s pickup, the York News-Times reported. Investigators estimated the pot had a street value of approximately $336,000. “They said the marijuana was for Christmas presents,” Lt. Paul Vrbka said. The couple, who live in Clearlake Oaks, California, were charged with possession of marijuana with the intent to deliver and no drug tax stamp. 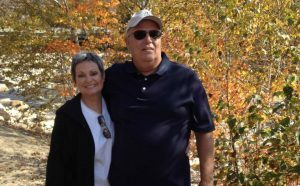 PAPILLION, Nebraska — A 67-year-old woman miraculously clung onto life for six days after her husband shot her in the head and left her for dead in their Nebraska home. Authorities say that as Cheri Langill lay in the basement, her 68-year-old husband, Karl Langill, went to the garage and committed suicide by running their car until he was overwhelmed by carbon monoxide fumes. Officers discovered what had happened when a friend of the couple called police asking them to check on the family after being unable to contact them, the Omaha World-Herald reported. When the first officer came into the home and announced himself, Cheri began screaming for help from the basement. The Sarpy County Sheriff’s officer says she told them she chose to remain in the basement for such a long period of time because she was unaware that her husband had killed himself, and she feared he was still upstairs. “She’d still be lying there if the friend hadn’t called 911,” said Sarpy County Chief Deputy Sheriff Greg London. 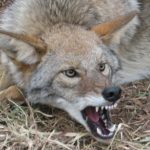 She had also suffered a broken ankle during the dispute when she was shot with a .22 caliber pistol. It was not immediately clear when Karl killed himself, but the car had run out of gas by the time police got to the house. Cheri was hospitalized in good condition and was talking, police said. LINCOLN, Nebraska — Police believe they have found the body of a woman who disappeared after going on a Tinder date last month and two people, including the person she was supposed to meet, are in custody. “We do believe that there is evidence of foul play,” Lincoln Police Chief Jeff Bliemeister said at a press conference. 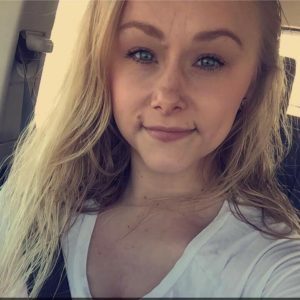 Sydney Loofe, a 24-year-old supermarket cashier at Menards, was reported missing on Nov. 16, the day after she went out on a date with a woman she met on the dating app, the Lincoln Journal Star reported. 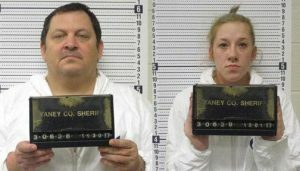 The woman, Bailey Boswell, 23, and Aubrey Trail, 51 are persons of interest in Loofe’s disappearance and remain jailed on unrelated charges. Neither have been charged with Loofe’s disappearance. They have denied any involvement. “Not saying I’m a nice guy. I’m a crook, I’m a thief — have been all my life. OK? But I’m not what you’re trying to make me out to be,” Trail said in a video posted online. In another video, Boswell claimed she and Loofe drove around Lincoln, then smoked marijuana at her apartment. She said she then dropped Loofe off at a friend’s house and hadn’t heard from her since. Bliemeister said investigators have a “strong belief” that the body found in an open area of Clay County is Loofe, but that official confirmation is pending. OMAHA, Nebraska– Worst. Neighbor. Ever. 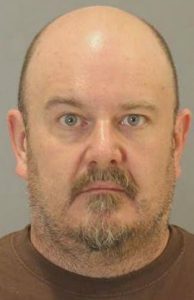 A Nebraska man has been charged with hiring prostitutes to strip on his neighbor’s front porch while he covertly watched and masturbated in his home across the street. Douglas Goldsberry, 45, was arrested The couple who lived in the home with their two young children reported to police numerous alarming encounters of call girls showing up at their door demanding payment and pimp’s peeking in their windows, police said. Investigators say they believe Goldsberry had been engaging in the bizarre practice for several years. His neighbors reported at least 75 instances of woman coming to their home, but cops believe there may have been many more instances that occurred when the family wasn’t home. At first, the episodes would occur once a month or so, cops said, but had recently escalated. In March, the family said women had arrived on eight separate occasions. “When it got more and more and more, they got law enforcement more heavily involved,” Lt. Will Rinn of the Douglas County Sheriff’s Office told the Omaha World. The reports led police to set up surveillance and they were able to zero in on Goldsberry after interviewing several of the prostitutes, who had been hired out of classified ads posted on Backpage. “What we found out was, basically, this guy hasn’t been paying these prostitutes either,” Dunning said. When Goldsberry, who works as a chef, was arrested last week, cops found him in an Omaha Hotel with a suicide note and a noose fashioned from an electrical cord nearby. He was charged with felony pandering. On the day of his arrest, Goldsberry’s wife filed for divorce. 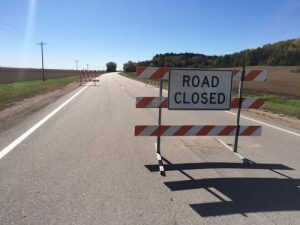 TEKAMAH, Nebraska — A deadly gas leak from a pipeline carrying anhydrous ammonia killed a motorist and forced authorities to shut down a highway in rural Nebraska. The leak from the eight-inch pipe, spilled 294,000 gallons of the substance which created a deadly cloud of gas that proved fatal to a 59-year-old farmer as he drove through it late Monday night. He was identified as Phillip Hennig, who lived about a quarter mile away in Tekamah, according to the Omaha World-Record. Authorities shut down a stretch of highway running near the faulty pipe for at least 24 hours. About 40 residents living in the vicinity were evacuated. The gas, which is used as a farm fertilizer, can cause difficulty breathing and can be fatal in high doses. The cause of the leak was not clear. The pipeline, which is owned by the Oklahoma-based Magellan Midstream Partners LP is 1,100 miles long and runs from Texas to Minnesota. 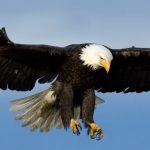 “We express our deepest sympathies over the tragic death of the local resident last night,” said Mike Mears, Magellan’s chief executive officer.